Suspenders date back as far as the 18th century France, where strips of ribbon were attached to the buttonholes of trousers. 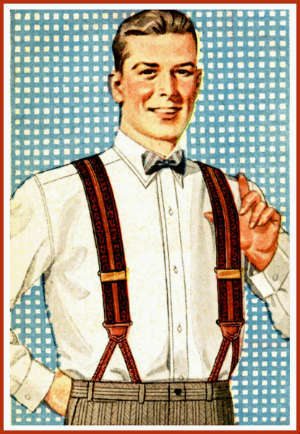 Back then, suspenders were considered undergarments, and were not meant to be seen in public. However in the 1820’s, British designer Albert Thurston began to make them much like what we see now. During those days, men used to wear their trousers so high-waisted that a belt simply wouldn’t be able to do the job. 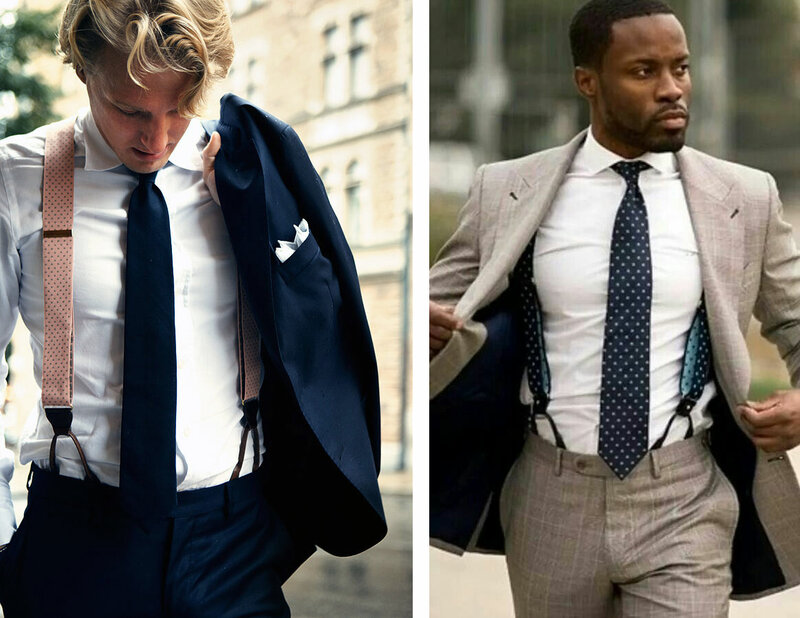 Suspenders became a necessity for the sartorial gentleman. Fast forward to the early 20th century! 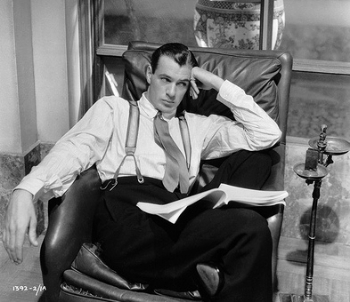 Suspenders were no longer needed as men started wearing lower-sitting, lower-rise trousers. Suspenders instead became a sort of medical device that doctors would prescribe as an aid for posture and a slimmer gut. In the 1960’s, working-class British adopted them into their looks, combining suspenders with tight jeans that really didn’t need help staying in place. Later, in the 1970’s, working women in England and the US incorporated them into their wardrobes to achieve a sort of “unisex” look. In the late 1980’s, People magazine dubbed suspenders as a very “sensual” and fashion-forward look. These days, men’s fashion has seen a distinct revival of 20th-century culture, class, and style. Think fedoras, mustaches, speakeasies, and, yes, suspenders! Suspenders are classy. Suspenders are comfortable. Suspenders are what your wardrobe needs. So give your belts a break. How Thick Should My Suspenders Be? You can find everything from super skinny to excessively wide straps. 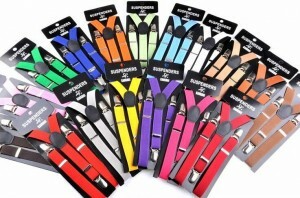 If you are looking to invest in just 1 or 2 solid pairs of suspenders, aim for a mid-range of width, such as 1.25” – 1.5”. Trendy and sartorially daring widths fall in the 0.5” – 1” range. Functional, heavy duty suspenders have heftier builds and fall around 2”. Some will argue that both clips and buttons are acceptable. But buttons look cleaner and more refined. Most suits should still be equipped with interior buttons for suspenders. You can sew the buttons easily too for pants and trousers without buttons. Clips are good if you’re trying to achieve a hip, trendy look. However, clips may damage the waistband of your garments over time. How Do You Put Suspenders On? Most men will fasten the back of the suspenders, put their trousers on, and then later fasten their suspenders in the front. Others will fasten every button (or clip) first before putting their trousers on. It’s your preference. Can You Use a Suspender With a Suit? Definitely, but never with clips. Stick to buttons. 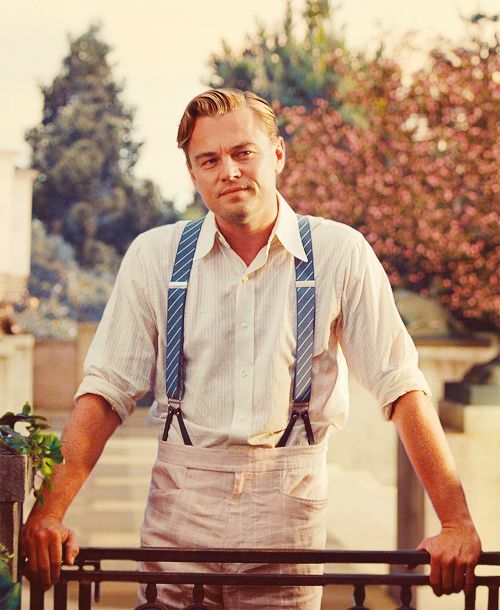 You can wear suspenders whenever you want. Suspenders will look dapper with everything from your most casual ensembles to that white tie event you’re attending. Just be sure that the suspender fabric matches or contrasts your outfit. Or, if you’re wearing leather suspenders, you should match them with your shoes. Finally, never wear a belt and suspenders at the same time.